Western Media has claimed that United States is thinking to take different actions against Pakistan like closing its Aid and sending its Ambassador out of Country if case of Raymond Davis is not resolved soon. The Writer has said in its report that America may stop aid to Pakistan as punishment for not releasing Raymond Davis. Until now America has not imposed any ban on Pakistan but if relations reaches to point of no return than America may take several action to pressurize Pakistan. 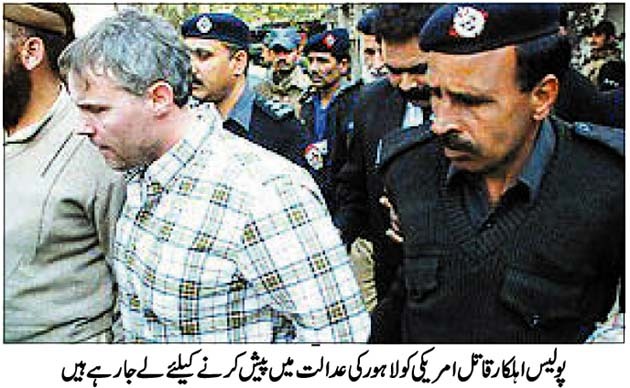 American officials has said it many times that Raymond Davis is a US Diplomat so Pakistan must release him Immediately. However Pakistan has found in Investigation that Raymond Davis is not a Diplomat but a agent of CIA who was spying in Pakistan. On Friday Raymond Davis is sent to Jail by Pakistani Court and his application of Diplomatic Immunity is rejected.